At Trigard, innovation and customer-focus make us one of the industries leading experts. 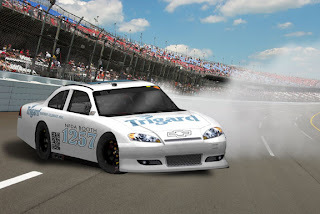 Visit us at booth #1257 at the 2012 NFDA Convention in Charlotte, North Carolina to learn how our customizable and effective tools and products can help you stay up to speed, and burn some virtual rubber in a full-size NASCAR® race car simulator. The best time each day will win a pair of NASCAR tickets to any race in the country. Last Chance! Click for your pit pass and free NFDA expo pass. Expo pass requests must be sent to NFDA by Sept. 4 (no exceptions).